St. Peter’s has a long history of responding to the needs of the surrounding community with care and respect. Centrally located in downtown Rockland, the church is committed to sharing its facilities with the immediate and broader communities of the Midcoast, especially with non-profit service organizations. 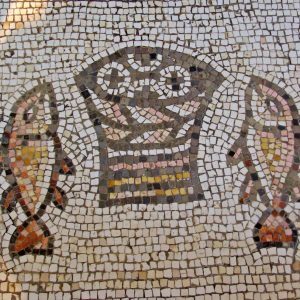 Loaves and Fishes is a weekend lunch program at St. Peter’s Episcopal Church, served in the parish hall at 12:30 p.m. on Saturdays and 1 p.m. on Sundays. The program began in the 1990s, when a small group at St. Peter’s began serving coffee and sandwiches from the trunk of a car on Saturdays and Sundays. The program quickly moved into the parish hall and became a collaborative effort with several churches and organizations forming independent teams to prepare and serve weekend nutritious lunches at no cost to guests. Each team plans, prepares, and provides the necessary food for the lunch they serve. Today between 30-75 guests are served at Saturday and Sunday lunches. Members of St. Peter’s coordinate the program and form three of the eleven lunch teams. The church also funds the overhead costs and basic supplies. Various local restaurants and stores often provide surplus bread, coffee, and prepared food. A welcoming sense of fellowship exists among both servers and diners. On Christmas and Easter, Adas Yoshuron Synagogue prepares a special feast. At Thanksgiving, St. Peter’s coordinates a traditional Turkey Dinner for 300-400 people (at the church and with take-outs to shut-ins). New volunteers and donations are always welcome. Contact the church office if you are interested in joining a St. Peter’s team. Click here to make a donation to support this ministry. St. Peter’s is an active member of the Area Interfaith Outreach, a non-profit organization dedicated to providing emergency food for those in the community. A church member serves on the AIO board, and various volunteers coordinate the weekly collection of food supplies for the AIO pantry, located at the intersection of Thomaston Street and Broadway in Rockland. During the Sunday worship services, the collected food is blessed during the offertory before being delivered to the AIO Pantry. For more information, visit the AIO Website (aiofoodpantry.org). If you are interested in becoming active in this ministry contact the church office. St. Peter’s offers regular and periodic use of its facilities to community groups, with preference given to organizations whose missions are compatible with St. Peter’s. Facilities are also available for private rentals or for-profit groups. Interested parties can review St. Peter’s Rental Policy online (Click to view) and contact St. Peter’s Parish Administrator for further information. St. Peter’s is committed to working with interested parties to make our space use affordable. Restorative Justice Project: St. Peter’s provides meeting space for The Restorative Justice Project of the Midcoast (RJP) in Rockland, the Knox County seat. RJP coordinates and encourages community reconciliation efforts between persons facing jail time and their victims, with special attention to young offenders. St. Peter’s members are also actively engaged with RJP as trainer volunteers, mentors, and circle group participants. Please see the RJP Website for more information. LIVE LINK to http://www.rjpmidcoast.org. 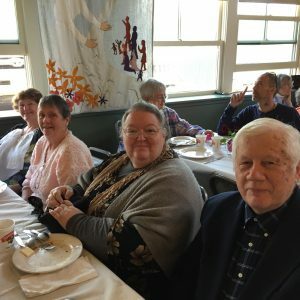 A National Alliance on Mental Illness (NAMI) local Faithnet Support Group regularly meets at St. Peter’s to want to discuss spiritual concerns or share a faith based approach to coping with the effects of mental illness. The group is open to people who care for people with mental illness symptoms, as well as people with mental illness symptoms who seek support from peers. To learn more about NAMI nationally, click here: (Link to http://www.namimaine.org/)/. Call the church office for information on how to learn more about joining the group. Other groups that have shared facilities within the recent past include The Toy Library, YouthLinks (Broadreach), Trekkers, Boy and Girl Scouts, Midcoast Recovery Initiative, cooking classes, and numerous organizations for special meetings.